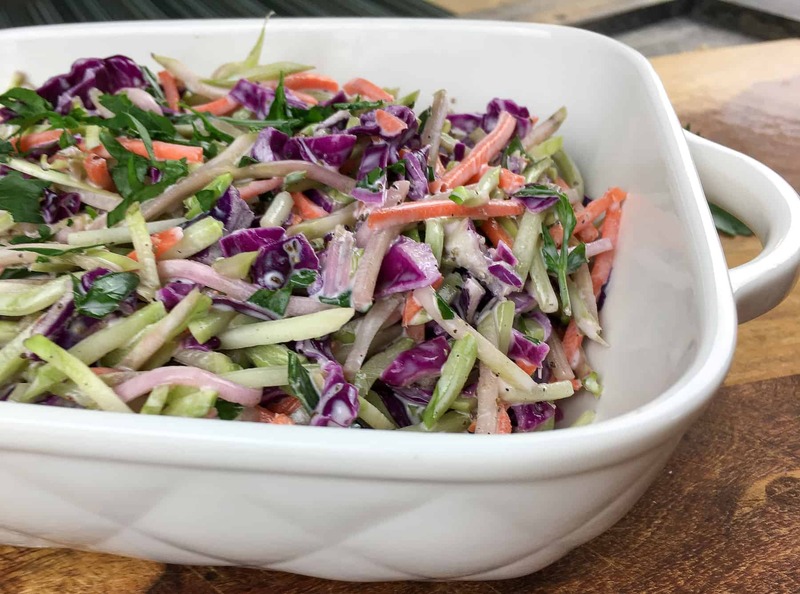 This keto coleslaw recipe uses broccoli slaw for quick and easy convenience. 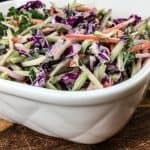 A low carb coleslaw is hard to come by on the keto diet however we have tested this to be one of our delicious keto recipes that’s a great side dish for lazy weeknights or fancy dinner gatherings. Keto coleslaw recipes can be hard to come by since traditional coleslaw recipes usually include lots of sugar in the cole slaw dressing. This recipe is low carb and very quick to put together. It can be had immediately however we suggest preparing it a few hours in advance and putting it in your refrigerator for a few hours so that all the flavors can combine and the apple cider vinegar gets a chance to work its acidic magic. The organic broccoli slaw used in this recipe is from Whole Foods and provides a unique taste and the perfect crunch. It will be a hit at your dinner table whether you’re feeding small kids or fancy friends. You can also use this broccoli slaw mix in place of spiralized zucchini in your favorite pasta substitute dishes. This recipe also features Keto-friendly avocado oil mayo that is sugar-free, carb free and made with pure and organic ingredients. 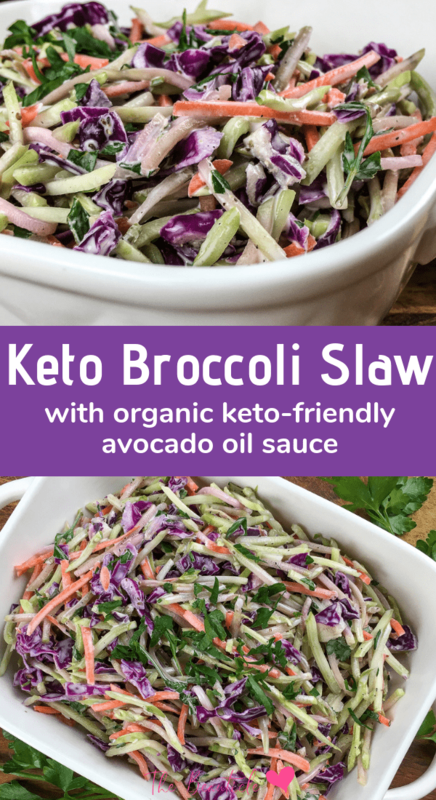 Try this keto coleslaw as a side dish to our Keto Pulled Pork recipe or mini Keto Cheeseburger Sliders. A unique and flavorful keto side dish that is very quick and easy to put together. Add organic broccoli slaw, parsley, avocado oil mayonnaise, apple cider vinegar, and celery seed to a large glass or other non-reactive bowl and stir to combine. Season with salt and black pepper, to taste. Serve immediately or place in the refrigerator for a couple hours to chill, for better flavor. Enjoy!